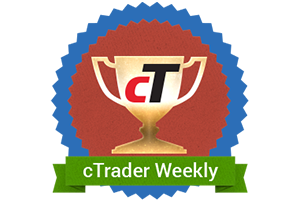 OctaFX cTrader Weekly demo contest Round 9 has brought another $400 to OctaFX traders! We thank every trader for participation. The next round of cTrader Weekly demo contest starts in a week – it’s high time to register and win prizes from OctaFX! Join 337 OctaFX traders in this competition and try out our new platform trading demo account! Step out of your comfort zone to explore new level of trading with OctaFX! OctaFX Champion Round 34 winners talk about their effective strategies! Our OctaFX Champions commentaries on how they’ve spent Round 34 competing are freshly gathered for you to draw some inspiration! Vote for OctaFX in the 2014 FX Empire Awards! OctaFX is nominated for the Best Broker and Most Reliable Broker awards in the 2014 FX Empire Awards. Don't hesitate to vote for OctaFX!